Wake up to beautiful views of the sea and idyllic Honningsvag. Experience the spectacular landscape, the North Cape and exciting activities such as a king-crab safari. Enjoy breakfast and a delicious dinner in our cosy hotel restaurant, Bryggen. Start your day with breakfast in our hotel restaurant Bryggen, where you have a great view of the sea and port. The restaurant menu offers a choice of delicacies from the Arctic Ocean and specialities from Finnmark. We have 1 meeting room for up to 35 participants, equipped with computer and a projector. If you arrive by car we offer free parking close to the hotel. As a guest you always have free WiFi in your room and in public areas. 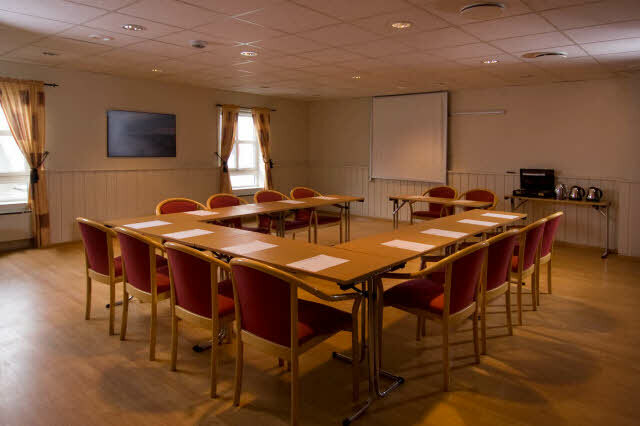 Scandic Bryggen is a friendly hotel right by the harbour in Honningsvag, with enchanting sea views. The hotel is an ideal base to explore this exciting destination. Here you can experience unspoilt nature and activities such as king-crab and bird safaris, as well as fishing trips. Europe’s northernmost point, the North Cape, is only 35 km away. The journey there passes through a spectacular landscape, which is an experience in itself. We are located right by the harbour where the Hurtigruten ships dock. If you are lucky and the weather conditions are right, you will be able to experience the northern lights in winter. The hotel is located about 4 km and a 10-minute drive from Honningsvag’s Valan airport.